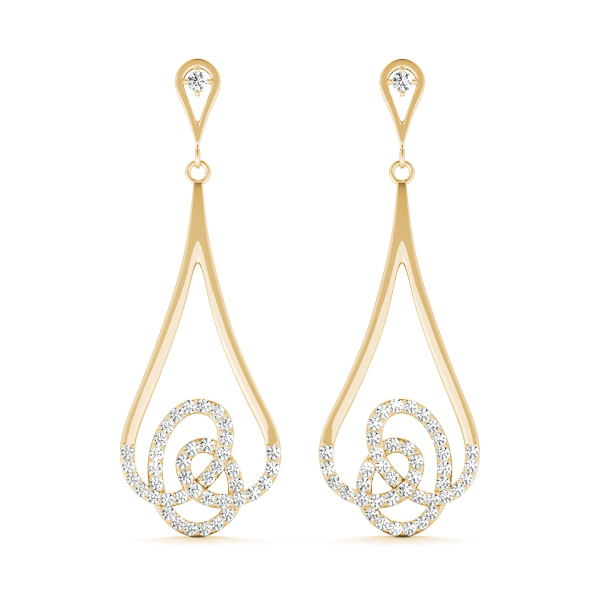 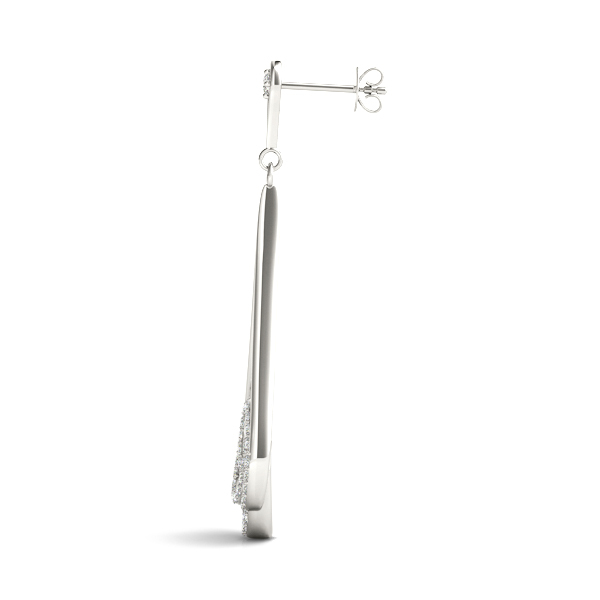 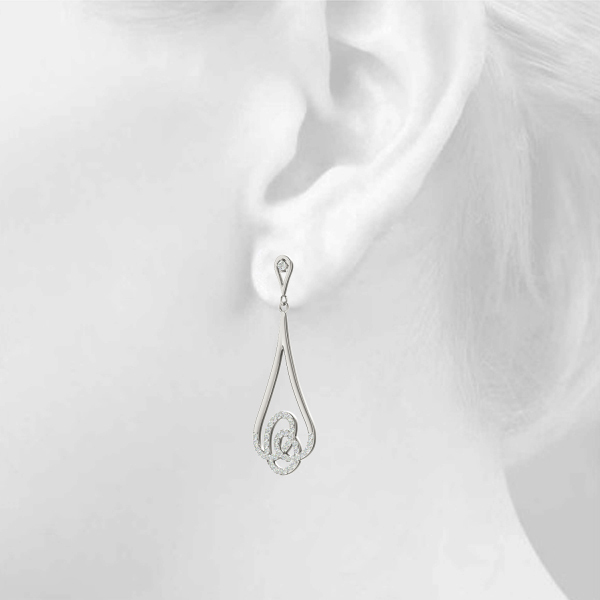 14 karat white gold fancy diamond dangling knot earrings. 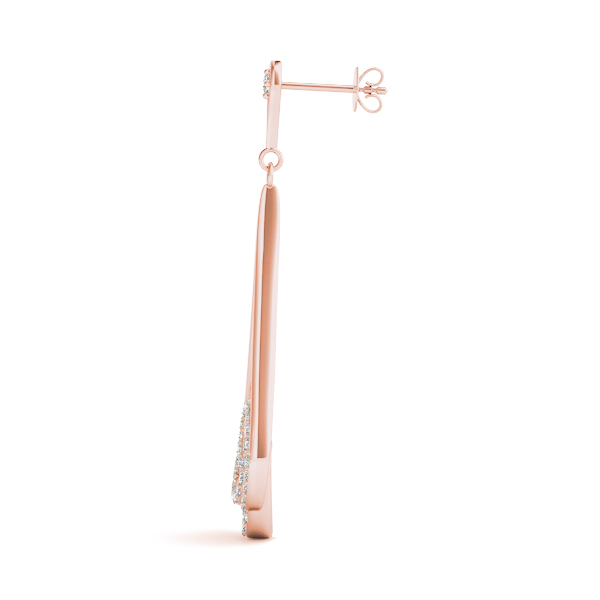 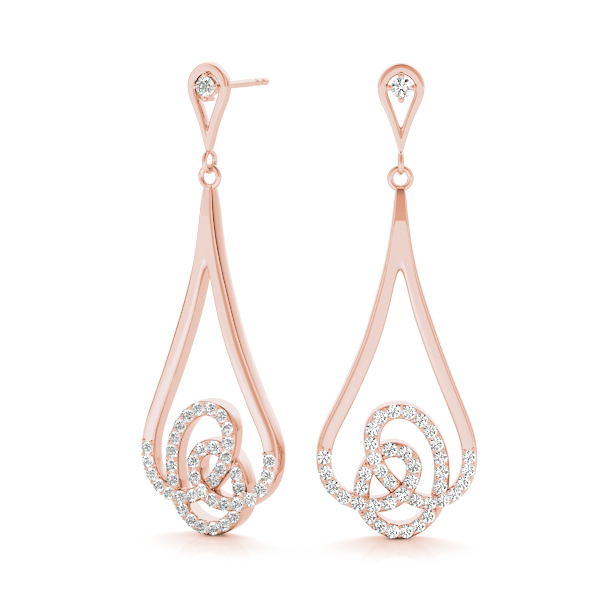 14 karat rose gold fancy diamond dangling knot earrings. 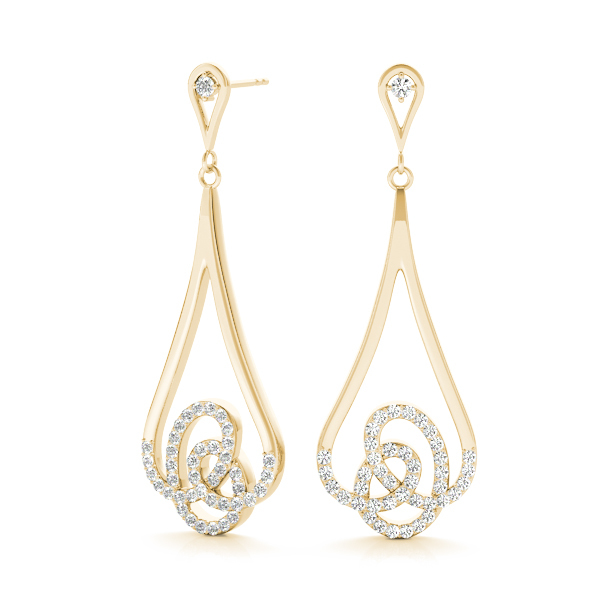 14 karat yellow gold fancy diamond dangling knot earrings.